510 Skateboarding: 2506 Telegraph Ave. Berkeley, California, 94704. Created as a much needed hub for the skaters in the east Bay Area, 510 Skateshop in Berkley, California, has served as a central meeting place for the locals since owner Jerry Harris opened the doors back in 1998. We caught up with Jerry while we were in town for the Levi’s Town Park build (Watch Park Spotting: Levi's Town Park Build in Oakland.) to learn about 510’s history, why he opened the doors in the first place, and to see what's in store for the rest of 2015. 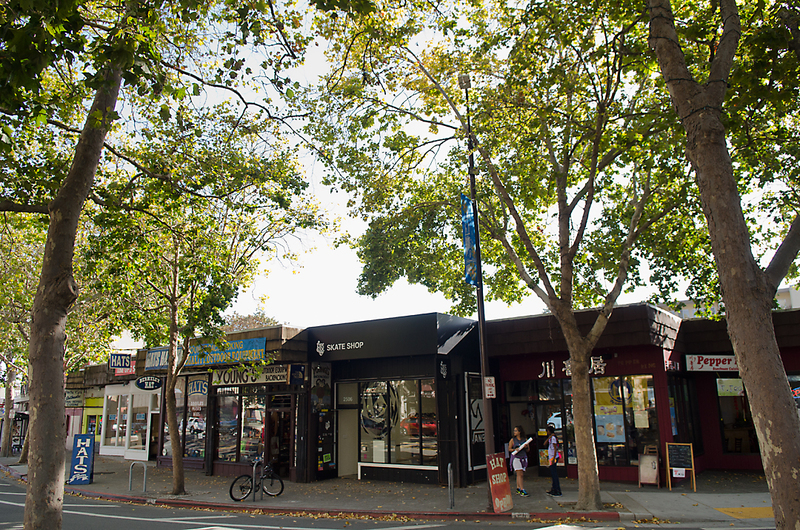 If you're ever up in the east Bay Area, be sure to stop by 510 and drop a line or two. Clean and crisp. A look at the inside of 510. What were you doing before you opened 510 and what was the reason for opening those doors? I moved to San Francisco in 1996 – I was 18 at the time. I initially lived in a skate-apartment with a group of good friends who played a major part in my being able to plant roots in the bay. Within the first year moving to S.F. I met my future wife, Dandy. Dandy was a UC Berkeley student, so I ended up hanging out in the East Bay near the UC campus regularly. After spending a little time in the Berkeley/Oakland area I was surprised to find there wasn't really a good skateboard shop. The San Francisco scene was so global, so well known, but I knew the East Bay needed some proper representation. That really inspired our vision for what the store should be – our main goal first and foremost has always been to represent, to be a hub, and to be of service to the Oakland/Berkeley skateboard scene. My wife Dandy (who also skates) has the brains and I had a skateboarding background, so the business partnership made sense right from the beginning. 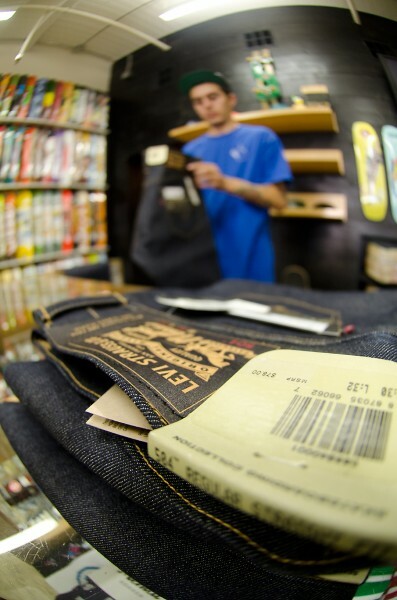 Some of the new Levi’s Skateboarding denim. Strong, durable, and designed for skateboarding. 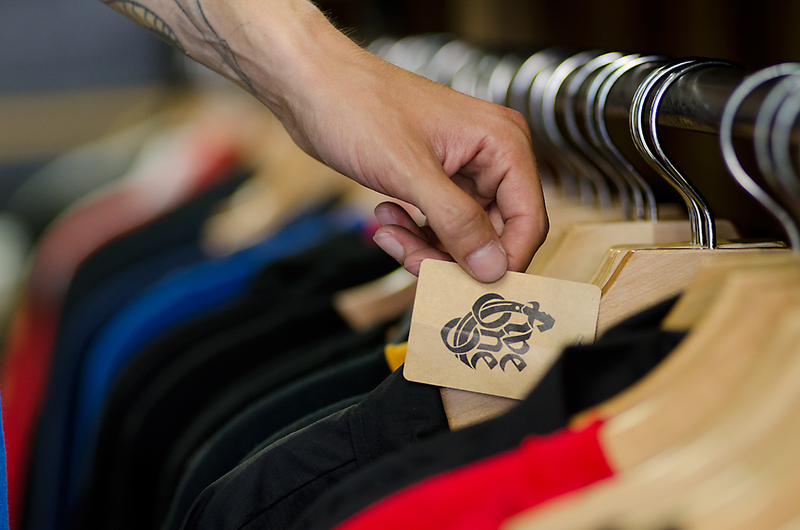 What's it like owning a core shop in 2015 amongst these large retail chains? Things are cool. It's tricky and the pie is sliced way thinner, but I think there's a lot of good happening too and I have hope for the future. 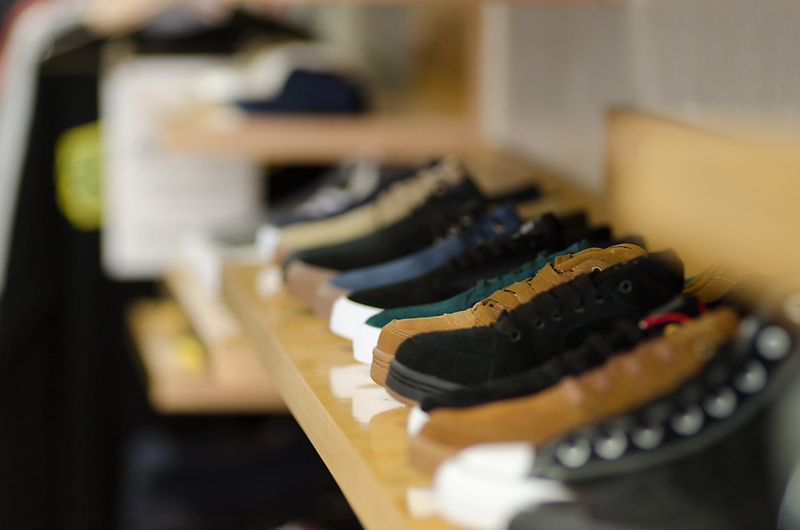 I consider us a 'skate shop' and large retail chains or 'board shops' are not 'skate shops' – we're really different in a lot of ways. There are two sub-industries evolving; you have your mass- consumer skateboard brands and your actual skateboarder focused skateboard brands. 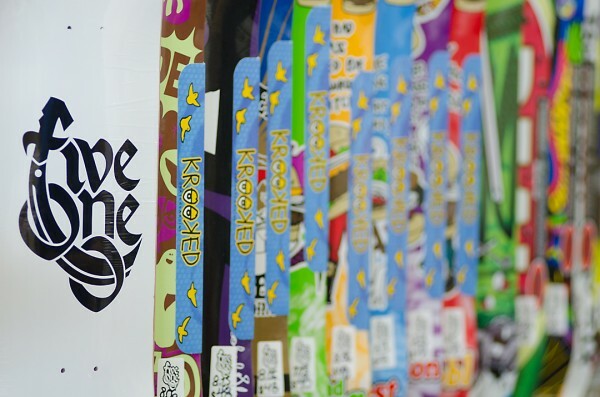 Most mass-consumer skateboard brands do not sell well in our store, but the smaller guys are doing amazing and I hear the same thing from other 'skate shop' owners all over the country. Even though there's this big, kind of embarrassing side to the industry, the small side feels connected, smart and creative – just cooler – something we can be proud to offer our customers. Who are some 510 shop riders you've seen come up over the years? Oh man we've been open for so long! Our current central crew is killer – super tight and everyone is doing big things. Dude, Augie Johasen is a beast right now. We've had so many insane skateboarders as part of the family over the years that this could constitute an entire interview on it's own, and I'll feel like a goon if I accidently leave anyone out so I'll keep it brief, but I'll drop a couple names. I can't go without claiming Walker Ryan. 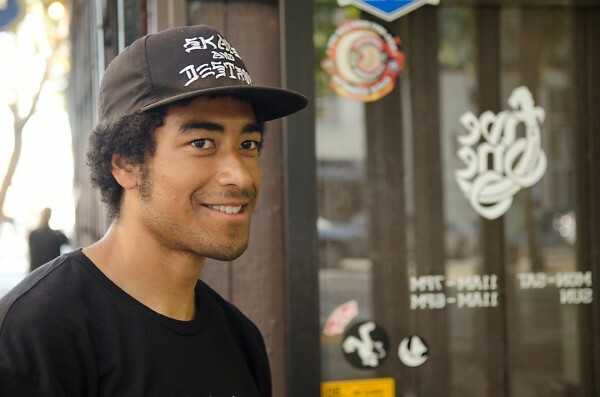 One of the all around nicest guys you'll ever meet and so much fun to watch on a skateboard – so proud of that dude. Max Schaaf has supported us so much for so long – I don't know how to classify his relationship with the shop, but things wouldn't be the same around here without him. Can't claim all of them love us, but the whole Our Life crew is next level in so many ways – absolute skateboard terrorists. Some more of that new Levi’s Skateboarding denim. Made for skateboarding and exclusively available at core shops! 510 employee, Gabriel, working the counter. You own another shop called Bows & Arrows, did that sort of evolve through 510? What's the story behind that? We opened Bows and Arrows in 2005. As our skate shoe business took off in the early 2000's we noticed an opportunity to sell non-skate related footwear. 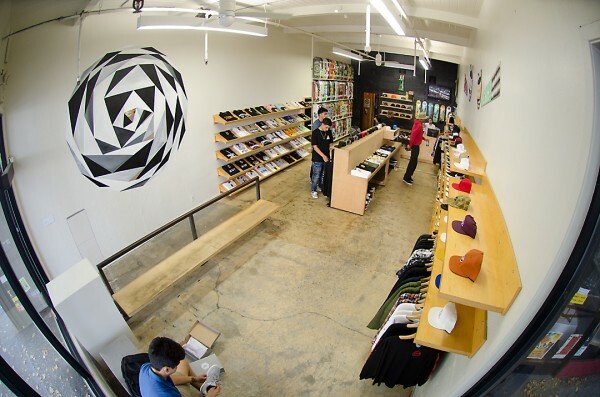 We weren't willing to stray far from skate specific product in 510 so we rented a space across the street. We wanted it to compliment 510 from a neighborhood standpoint, but never intended for people to necessarily know they were connected. Even though both shops have similar brands, the product, price points, distribution and the customer base is surprisingly different. I'm able to take things I learn from one store and apply it to the other. Kicks, kicks, and more kicks. 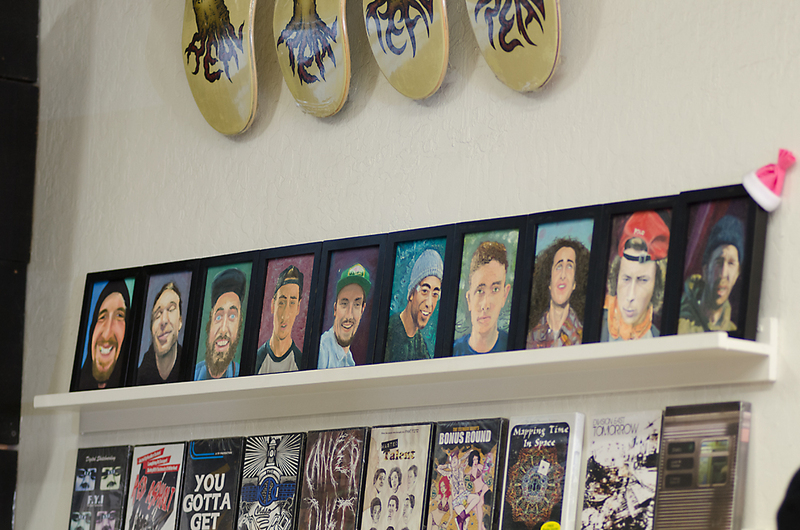 Paintings of 510 riders, friends and family above the video display. 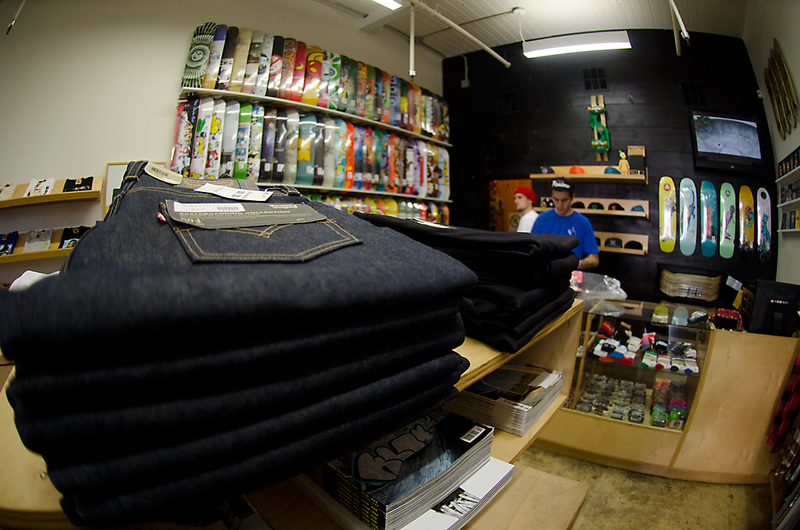 A nice fisheye view of the entire shop. 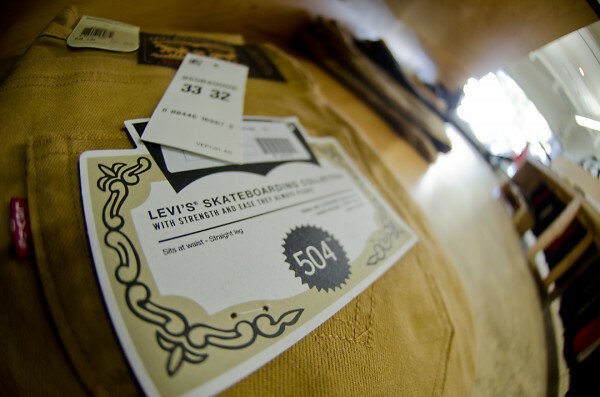 Levi’s Skateboarding’s 504 denim in brown. Straight legged and designed for skateboarding. More boards from the board wall. What's going on for the rest of 2015? Just keep on keepin on, man. Learn more about 510 Skateboarding at 510skateboarding.com.